Toronto-based startup and FounderFuel accelerator graduate OneClass today announced a new $1.6 million Series A round investment led by SAIF partners and including previous investor Real Ventures, as well as several angels. The education startup provides a collaborative note, lecture and textbook platform for university students, and is currently active in 50 schools across the U.S. and Canada. With the help of this investment, the startup hopes to expand its business not only to new schools, but also to different levels of education. Both high school and graduate programs are in their sights, according to OneClass’ founders. 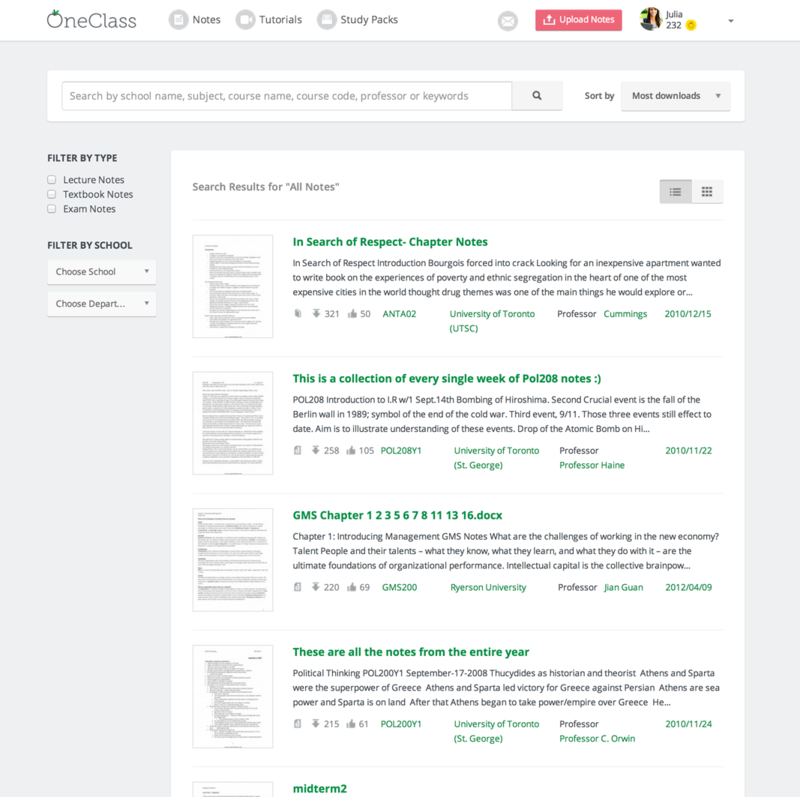 Essentially, OneClass is like a crowdsourced courseware offering, or like an Evernote specifically aimed at education, but with some elements borrowed from MOOC-style online efforts, too. Students can share their notes from lectures, textbooks or for exam and test prep, and can even create supplementary resources including video attached to popular subjects, textbooks or even individual courses. Since its launch in September 2011, the startup counts over 1,700 videos created by its 200,000 members. The behaviour OneClass aims to capitalize on is something that’s already going on in most schools as it is: Students continually share notes and exam prep with one another. Bringing it online just expands the resource pool, and helps foster an atmosphere of collaborative learning for students and classes that might otherwise be remote or find that difficult. OneClass originally debuted as Notesolution, but rebranded to reflect its expanded focus on more than just notes. The startup also encourages user interaction through a rewards system, offering them free services so long as they contribute their own notes, too. There’s a credit system in place to enable content downloads, and credits can also be exchanged for other rewards. The engagement issue is the big challenge for any startup that requires use input for its content and network value, but OneClass’ somewhat gamified credit system appears to be working for it, considering that it had 40,000 users back in May last year, and has grown to the aforementioned 200,000 today. The key to continued traction will be adding more institutions, and the startup is looking to use this funding to do exactly that.